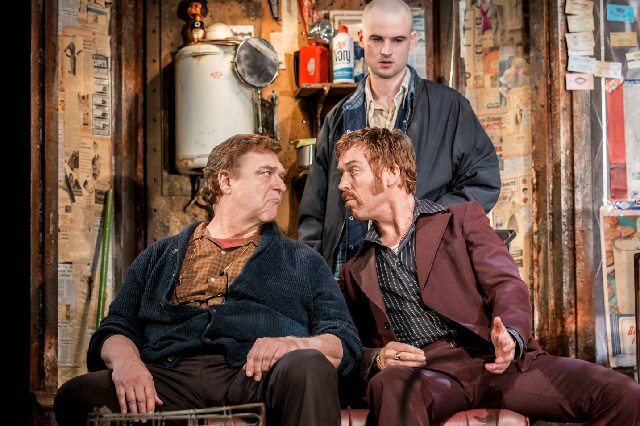 David Mamet’s late 70s play American Buffalo is considered an American classic and has attracted quite the star-studded cast with John Goodman and Damian Lewis being joined by Tom Sturridge in a production directed by Sheffield Theatre’s Daniel Evans. 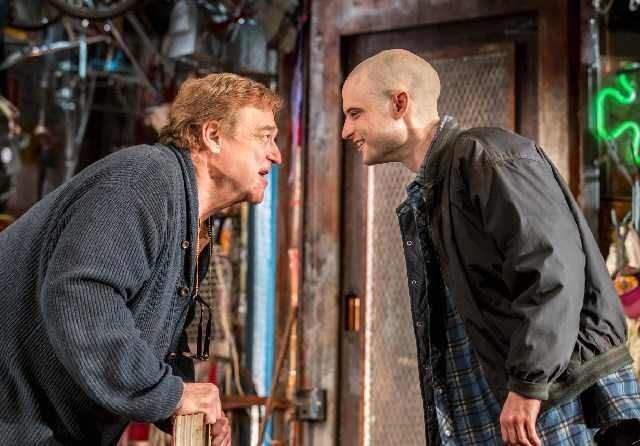 The "American Buffalo" of the title is a rare coin, a specimen of which junk shop owner Don has mistakenly sold and is now plotting to steal back with the help of troubled young gofer Bob and his garrulous poker buddy Teach who thinks he can do better. 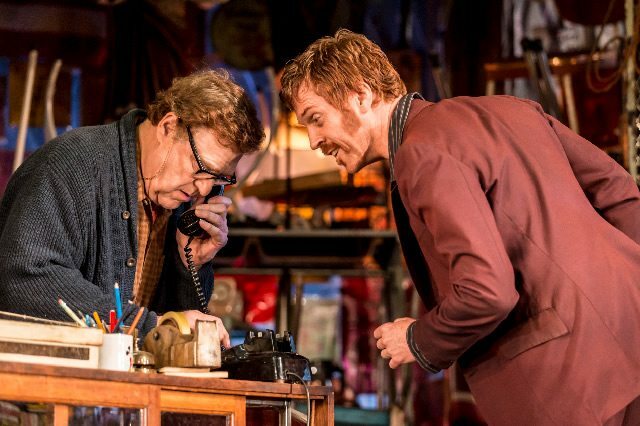 Though the three men bring a real wealth of acting talent to the stage of the Wyndham’s, they show a most diverse range of styles and techniques that only find a harmony in a few rare (but wonderful) moments. Goodman’s instantly recognisable American every-man shtick recalls his Coen Brothers work, Lewis’ extrovert presence in a dashing maroon flared suit is right out of Boogie Nights, and Sturridge’s mopey, angular physicality belongs in the angst of something like The Breakfast Club. It’s a curious mishmash of performances and energy levels that create some striking individual moments but never quite add up to more than the sum of its parts. Watching Goodman’s Don rock dazedly on his heels really is to see dreams die in front of you, Lewis’ profane entrance as Teach gives us swearing that hasn’t sounded this fun since Malcolm Tucker last strode through the halls of Westminster and Sturridge lends Bob a dangerously unpredictable air of nervous energy. Whilst individually stand out, together, they feel like they inhabit different worlds rather than the same desperate slice of Chicago’s seedy underbelly and the emotional interdependency that should underpin their relationship – which remains unspoken as it must, for these are men’s men! – consequently lacks conviction. It’s hard to really connect with their dilemma or even understand why we should, which speaks to larger questions about Daniel Evans’ production about this 1977 play. Why this play? Why now? Why in London? For all its depiction of the soullessness of capitalism and the way that it normalises or even encourages betrayal, the focus of Mamet’s writing lies in the deconstruction of the American Dream and its fetishisation of individual success. So firmly a specific period piece, it seems to say little for this time and place, and certainly nothing new. Whilst the three strong actors demonstrate technical brilliance, overall the piece is lacking in heart.